I thought this would be a pretty good topic to bring up since I have first-hand experience about losing files on my computer. I’ve had numerous hard drives crash (too many to count) and I’ve accidentally deleted files. I learned from my lessons fast and am here to share a great tool with you! I’ve often setup RAID-1 in my home computers to help retain data should a hard drive fail. Explaining RAID setup is beyond the scope of this post, but basically RAID-1 requires 2 hard drives. Whatever is copied on hard drive 1 is copied to hard drive 2. What happens though if your house were to burn down, there’s flooding in your region, or lightning strikes your computer? You can still lose all your data! I now use a little tool called CrashPlan. This is not a free tool and it does cost a small monthly subscription. It costs $5.99/month or as little as $3.95/month if you pre-pay 4 years in advance. CrashPlan offers UNLIMITED disk space and will backup whatever folders you have the program monitor on your computer. Currently I have 4TB backed up with CrashPlan and I keep transferring more and more data to them each week. In order to use CrashPlan, you do have to have a high speed Internet connection. I currently have 10Mbps upload speed and CrashPlan typically transfers data at about 1.9Mbps up to 5.5Mbps. Their servers are located here in Minneapolis, Minnesota. In order to backup 4TB of data it literally took months and months. If you have a lot of data, be prepared to leave your computer on 24/7 until your backup is complete! If you can afford the minimal monthly fee, I would HIGHLY recommend CrashPlan to anyone that is worried about losing photos, music, videos, etc. It’s happened to me twice now and I vowed I would never do it again. Do you use something else for backing up your files? 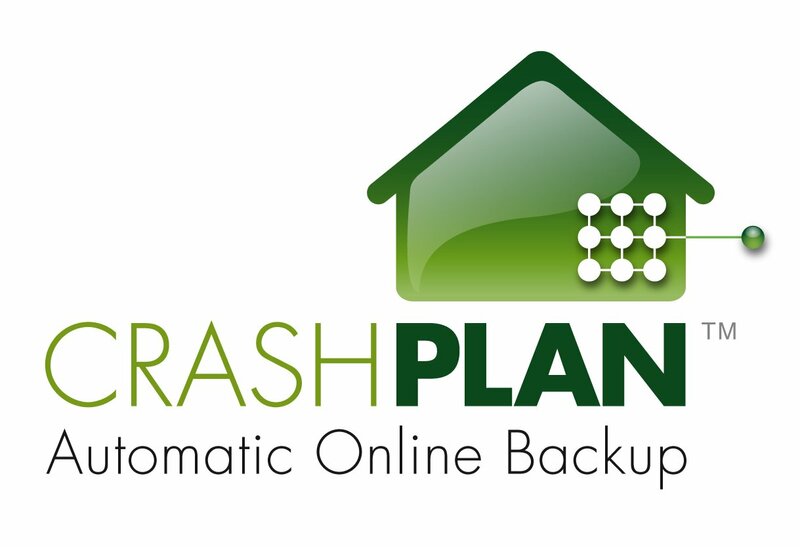 What do you think of CrashPlan? Let me know in the comments! Posted in Tips and tagged backup, Backup Files, CrashPlan, Internet. I actually use Carbonite and I have for quite sometime. I have not really read up much on CrashPlan but I would love to know of any major differences between the two if anyone has tried both.